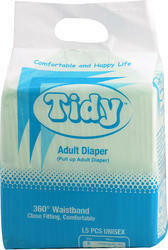 We are a remarkable entity in this domain, engaged in offering a qualitative assortment of Baby Pull Ups Diaper. 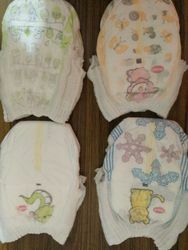 Pull up style disposable diaper and have a breathable cloth-like cover that provides comfort and better skin care. Super absorbent core keeps moisture away from the skin and controls odor. "Pull-Up"
Highly absorbent pant style pull ups / adult diapers.